Oxtail in Thailand comes with skin attached. It makes a better oxtail soup. Here in the US, the oxtail comes in a package cut and cleaned. You can also find oxtail at most Asian markets. 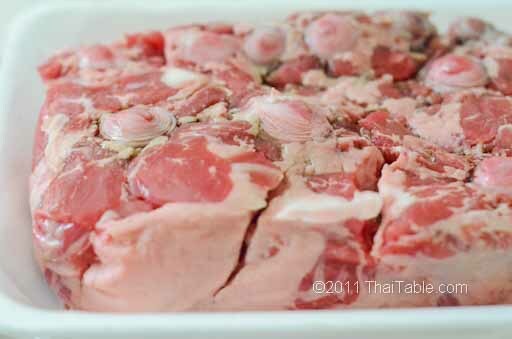 Recently, I saw vacuum packed oxtail at Costco. I don't know if it's a temporary item or a permanent one.